The Chinese Startups – OnePlus & Xiaomi had started their businesses around 4 years & 7 years ago respectively are ruling the smartphone market now. Both companies have proved wrong the notion that premium flagship market only belongs to brands like Samsung, Apple, etc. Now they are standing with similar rankings as of their successful product lineup. 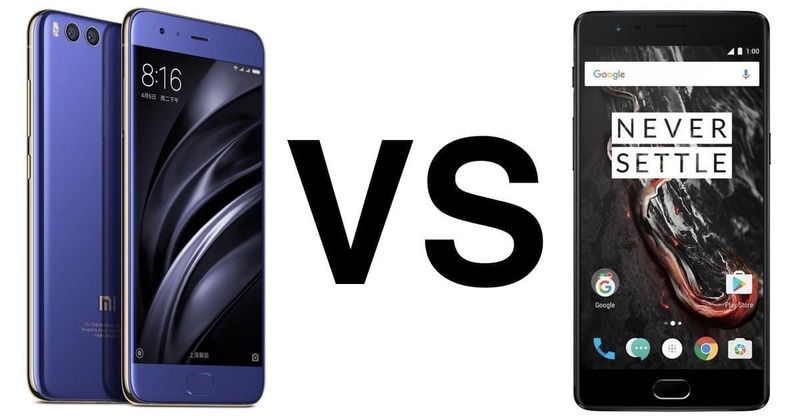 The flagship battle between Xiaomi and OnePlus is not a new thing and has been around since their inception. Now it became more looming than ever and choose one from their products list is almost impossible. Last year, Xiaomi launched the flagship – Mi5. Although the smartphone sounds good in terms of specifications, it didn’t get the cash counters ticking for Xiaomi. One of the reasons for the failure of Mi5 is its poor product launch strategies and their inability to launch high specification variant of Mi5 in India. Now after the launch of OnePlus 5, the only smartphone which has similar specifications in Xiaomi’s cookbook is Mi 6; however, it’s rumored that Mi 6 will not come to India. I believe Xiaomi Mi 6 can only give the tough competition for OnePlus 5 in terms its design, price, and specifications. I know you may be thinking the other way, so let’s have a deeper insight on Xiaomi Mi 6 vs OnePlus 5 and see how both flagships differ from each other and how to choose one among the both? The epitome of Xiaomi Mi 6 design comes from the concept of forging the Glass with metal. The sandwich design of glass and stainless steel apparently took Xiaomi seven years in the making and there’s no denying that it’s a gorgeous piece of tech just like its predecessor phone, the Xiaomi Mi 5. When we compare Mi 6 with OnePlus 5, Mi 6 stainless steel construction requires 50-step manufacturing process and over 270 individual operations while the Oneplus 5 have an Anodized aluminum frame. The special edition of Mi 6 is made of ceramic which is tougher and harder than glass. Also, the Mi 6 comes with the splash proof which is a con in OnePlus 5. The Xiaomi Mi 6 comes with a front positioned fingerprint scanner under glass. It comes with Qualcomm’s Sense ID ultrasonic fingerprint technology that enables the smartphone to be more secure. Also, it employs 3D mapping rather than 2D mapping used by OnePlus 5 and less susceptible to sweat and moisture damage in the longer run. Regarding weight, Mi 6 is heavier than the OnePlus 5, but, it’s certainly more premium and sturdier. However, the truth be told as for OnePlus 5, as it looks a lot like a mashup of the OnePlus 3/3T and the iPhone 7 Plus. The Xiaomi Mi 6 comes with a 5.15-inch 1080p display with reduced glare, whereas OnePlus 5 comes with 5.5-inch optic AMOLED display alongside 2.5D Corning Gorilla Glass 5. Also, Oneplus 5 features different modes: Reading, Night, Lift up and ambient display. Regarding Size, protection Oneplus 5 has great features over Mi 6. The software would be the whistleblower for your choice. The Xiaomi Mi 6 runs on Android 7.1.1. (Nougat) with Xiaomi’s custom skin MIUI 8.2. If you like to experience the stock Android, the OnePlus 5 is definitely the phone for you if that is the case. Along with the stock Android experience, the OnePlus 5 gives you an unlocked bootloader. This means you can root OnePlus 5, install any desired ROMs but still, you won’t void the phone’s warranty. 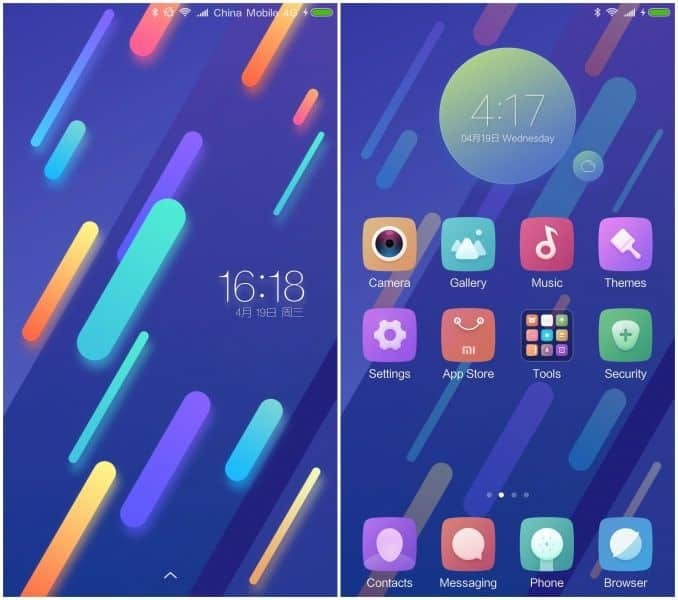 However, if you are not a “Stock Android fanatic“, MIUI 8 offers all the bells and whistles that you’d want from a fully-functional operating system, including themes. And it’s getting better with time. Even the MIUI can be a fresh start for customizations. Both smartphones come with a dual camera system and apparently, OnePlus 5 may win the battle in term of the camera but there’s a catch. The dual camera system in the OnePlus 5 features a tailor-made 16-megapixel camera, supported by a 20-megapixel telephoto camera. The 16-megapixel camera features a large F/1.7 aperture, the secondary 20-megapixel camera features a F/2.6 aperture. Because of powerful dual cameras on OnePlus 5, it is capable of shooting photos with shallow depth of field. If you are a photographer and would like taking pictures manually, there is also a dedicated Pro Mode for pro users. It is also capable of recording 4K videos and shooting in RAW file format. Sadly, the OnePlus 5’s rear camera system isn’t assisted with Optical Image Stabilization. 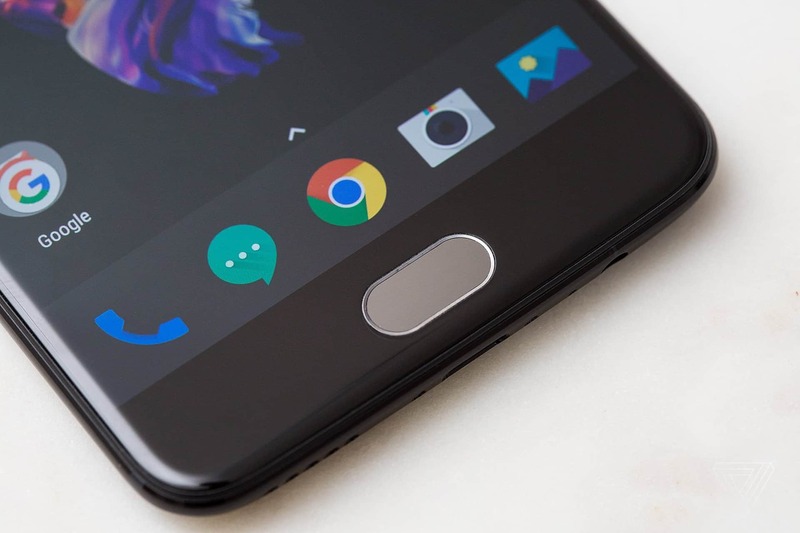 On the front, the OnePlus 5 ships with a 16-megapixel camera. The Mi 6, on the other hand, comes with the similar dual camera setup on the rear. The dual camera setup is equipped with dual 12-megapixel lenses. One lens is wide angle, and other is telephoto. However, the only specification that makes Mi 6 better than OnePlus 5 is its 4-axis optical image stabilization (OIS). On the front, the Mi 6 comes with an 8-megapixel camera. Xiaomi Mi 6 is equipped with a bigger battery, that is 3,350mAh while the OnePlus 5 comes equipped with 3,300mAh. Both smartphones come with fast charging, although the dash charge of OnePlus is completely different technology, which we will cover in our later post. Also, the other factor which we need to consider is the pricing. 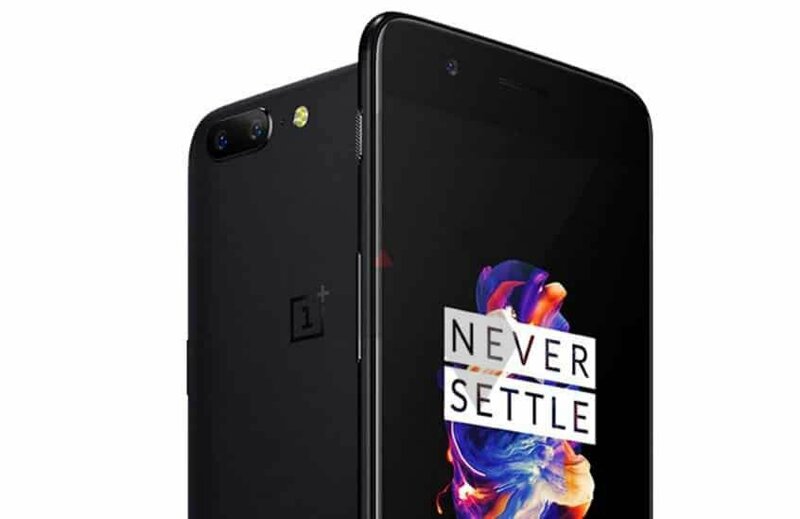 The base model of OnePlus 5 with 6GB RAM and 64GB storage version comes with the price tag of 32,999 INR, while the high-end version of OnePlus 5 with 8GB RAM and 128GB ROM comes with a price tag of 37,999 INR. On the other hand, the MI 6 is priced at RMB 2,499 (roughly 23,463 INR) for the 6GB RAM/64GB memory version, RMB 2,899 (approximately 27,219 INR) for the 6GB RAM/128GB memory version and RMB 2,999 (around 28,152 INR) for the limited ceramic edition with 18 Karat Gold camera rims. So, by comparing the features & pricing, the winner is obvious and it’s Xiaomi Mi 6. Also, Xiaomi is slowly and steadily changing its sales strategy in the country. The company recently opened its first Mi Home store in India in the Bengaluru city to bring its products to offline sales channels. It is also looking to open Mi Home stores in Delhi, Mumbai, Hyderabad, and Chennai in the days to come. In fact, it plans to open as many as 100 Mi Homes in the country in the next two years. 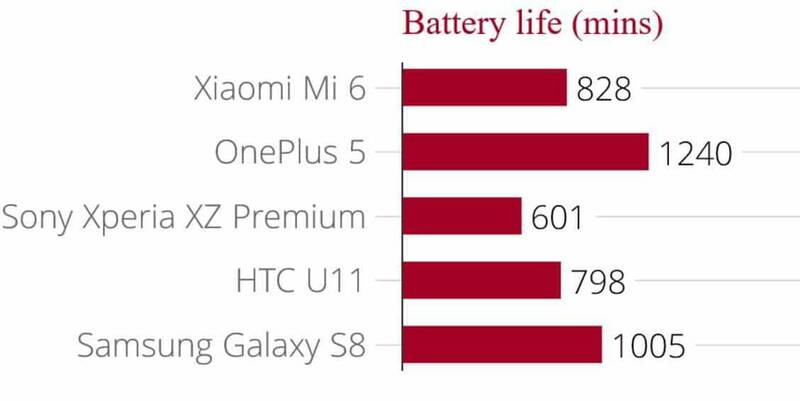 So Xiaomi will stay as tough competition to the premium brands in terms of cost, quality, and service. If that’s the case and if you have an opportunity to buy Mi 6, then Mi 6 would be preferable choice over OnePlus 5. Next articleMax C Electric Skateboard – Maybe your next daily companion?